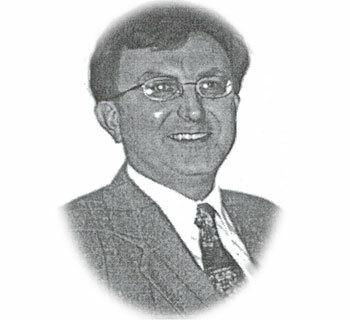 Born and raised in northeastern Pennsylvania, Mr. Brzuchalski did his undergraduate study at Mansfield University and graduated with a BS degree in secondary English education in 1974. That same year he was hired by the Northeast Educational Intermediate Unit #19 as a remedial reading teacher. Within the next few years he received a Reading Specialist Certificate from Marywood University. In 1976 the Lakeland School District, his alma mater, hired him for a position to teach secondary English in the Junior-Senior High School. During his tenure at Lakeland he pursed a Master’s degree in education from Penn State University. Throughout his career, Mr. Brzuchalski had taught students in grades 7 through 11 with a concentration in the following areas: public speaking; creative, critical, and analytical writing; American and British literature; grammar; general prose and poetry, and remedial and developmental reading. After 34 very fulfilling years of teaching, he retired from public school service and now focuses his attention on serving Christ and His Holy Church as choir director at All Saints Orthodox Church in Olyphant, Pennsylvania – position he has held since the summer of 1987. In September of 1992 he was tonsured a Reader by Bishop Herman, Bishop of Philadelphia and the diocese of Eastern Pennsylvania. Married to the former Mary Supina from Brunswick, Ohio, they have two children, Nicholas and Alexis, who are also RBO members. Mr. Brzuchalski became very interested in the RBO through the efforts of past president John Dzwonczyk who encouraged him to attend several RBO conventions. At the national convention in Scranton, Pennsylvania, under the leadership of past president George Mihaly, he was elected to the Supreme Council of the RBO and has fulfilled the responsibilities of that position with sincerity, energy, integrity and fraternalism. Acting very closely with the executive officers of the RBO, Mr. Brzuchalski has acted as coordinator of the Mihaly-Russin and the Alexis Russin scholarship programs throughout the last decade. Over the course of the past several years he has taken on the responsibility and accountability as lodge secretary for eight lodges having over 350 members collectively. He hopes to continue to strive for the growth and betterment of the RBO in the future.